Roma is the main ethnic minority in Spain. According to Council of Europe’s estimates, the Spanish Roma population stands at around 725,000 (1.57% of the population). To this number we should add the Roma of Romanian and Bulgarian origin who arrived in Spain mainly since 2002. They are distributed across the national territory, with a most concentrated presence in Andalusia, where around 40% of Spanish Roma men and women reside, as well as in Catalonia, Valencia and Madrid. They are mainly concentrated in urban areas. Roma population is characterised by heterogeneity and diversity. A large share of the Roma families (76%, three out of four) live under the poverty threshold; 54% under severe exclusion. Unemployment rate is 17 points over the overall population rate. In addition, the economic crisis has affected socially vulnerable population groups, including the Roma, the most. 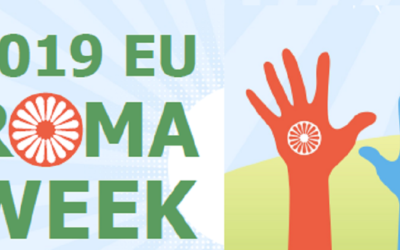 Adopted in 2012, the Spanish National Roma Integration Strategy (NRIS) is a significant advancement in the process of giving order and consistency as well as reinforcing the working lines, actions and programmes already existing in Spain for the Roma population. As regards the fields of intervention, la Estrategia incide en las cuatro áreas clave para la inclusión de la población gitana: empleo, educación, vivienda y salud. Además establece líneas de actuación complementarias en materia de acción social, participación, mejora del conocimiento de este colectivo, igualdad de la mujer, no discriminación, promoción de la cultura. Se presta también una especial atención a la población romaní originaria de terceros países o ciudadanos romaníes comunitarios que viven en España. It sets objetivos cuantitativos en las cuatro áreas estrategicas, que se concretan en porcentajes de población, a alcanzar en el año 2020, así como unas metas intermedias para 2015, y contiene indicadores de evaluación. It is based on the analysis of the situation in each of the key fields based on recent studies. It addresses specifically the non-discrimination. Migration is also specifically included and measures are envisaged within the four areas and beyond to target fundamental rights of migrant Roma in general. Measures are envisaged within the four areas to target gender equality (with some of the quantitative objectives disaggregated by gender) as well as multiple discrimination. No specific budget is allocated for the Strategy. However, the actions described are financed chiefly by regional authorities and to some extent also by central government ministries and municipalities. Combinará financiación de politicas, planes y programas de carácter general en cada área referida en las líneas de actuación (para medidas y programas de carácter general) y partidas presupuestarias especificas (para medidas específicas). Fondos EIE considerados como una potencial fuente de financiación. 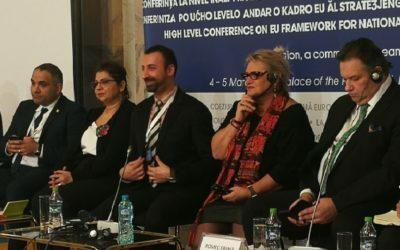 The elaboration of the NRIS was based on a participatory approach and involved key stakeholders, including central, regional and local (through the Spanish Federation of Municipalities and Provinces, FEMP) administrations as well as representative of civil society organisations working for Roma inclusion (through the State Council for Roma People). The strategy relies on consultation and co-operation with all stakeholders, including NGOs, the media, academia, and the Roma themselves. Duis mollis, est non commodo luctus, nisi erat porttitor ligula, eget lacinia odio sem nec elit. Cras justo odio, dapibus ac facilisis in, egestas eget quam. Nullam id dolor id nibh ultricies vehicula ut id elit. 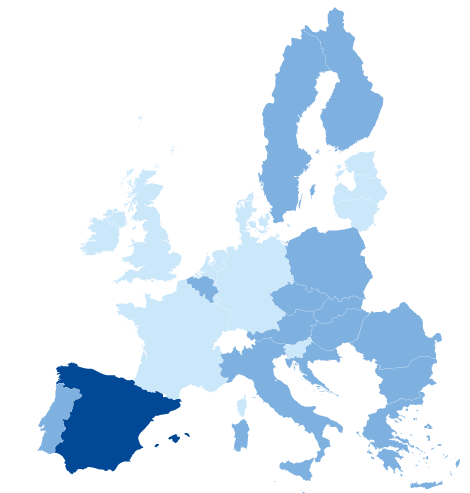 For the 2014-2020 period, Spain has been allocated a total of €28 billion from ESF and ERDF. 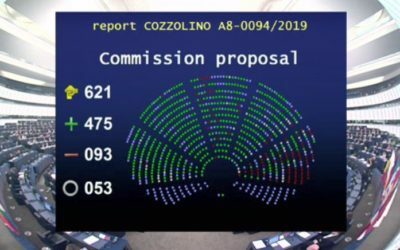 At least 27.7% of this amount is to be spent on the ESF, with at least 20% of that going to social inclusion and combating poverty, which can include Roma-related measures. Under ESF, most relevant actions addressed within Investment Priority 9.2., but also actions foreseen under IP 9.1. and Thematic objective 8. Under ERDF, actions foreseen under IP 9.b. Fields of intervention considered: employment, education and training, healthcare and housing and physical regeneration, equal opportunities and fight against discrimination (including multiple discrimination), gender equality. TO 8: promoting sustainable and quality employment and supporting labour mobility. TO 9: promoting social inclusion, combating poverty and any discrimination.IPs 1 to 6 are disagregated.TO 10: investing in education, training and vocational training for skills and lifelong learning. Whether exclusively or as part of larger target groups/geographical areas, whether including specific lines of intervention targeting Roma/Roma communities or not. 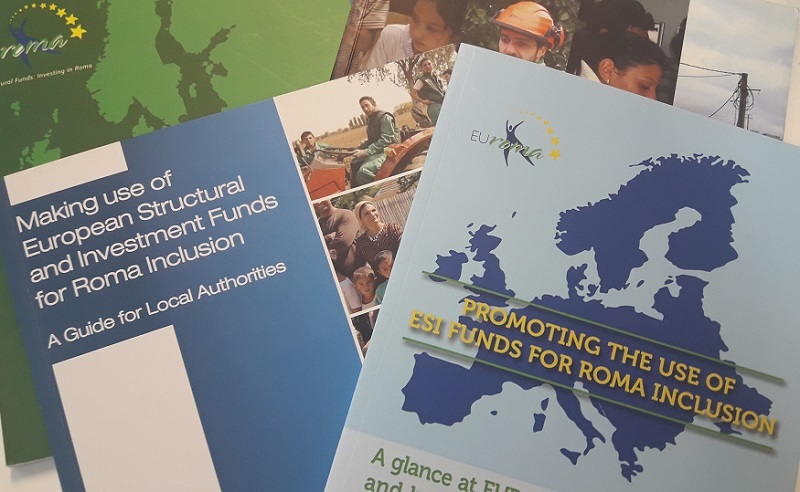 The Spanish NRIS refers to the ESI Funds as source of funding and different proposals are put forward to Foster the use of these funds, notably ESF and ERDF, in the short (2007-2013) and long-term (2014-2020). As part of the Strategy, an Interfunds Committee has been set up with a view to ‘articulate in a coordinated manner the planning, monitoring and evaluation of the interventions targeting the Roma population. It brings togther representatives from the managing authorities of the ESF, ERDF and EAFRD and the National Roma Contact Point (acting as coordinator).